Chennai/Hyderabad: The joint venture of Tata Advanced Systems and Sikorsky Aircraft Corporation (US) will produce its first helicopter from the Aerospace and Precision Engineering special economic zone at Adibhatla near here by November 2010, according to chief minister K Rosaiah. Inaugurating India Aviation 2010, the second edition of the international exhibition and conference on civil aviation here on Wednesday, he said Tata-Sikorsky was allotted 50 acre in the country’s first aerospace SEZ to set up a helicopter cabin manufacturing facility with an estimated investment of Rs 1,000 crore. The project would begin its commercial production this month, he said. Another joint venture — NOVA — between Tata Advanced Systems and Israel Air Force Technology has also been allotted 30 acres in this SEZ. Besides, Samuha, a consortia of companies like MTAR Technologies and others have been allotted land in both SEZ and Non-SEZ areas for providing services and manufacturing facilities for the aircraft manufacturers globally. The state has another aerospace unit in Lepakshi Aerospace and Defence Cluster in Anantapur, promoted by the Lepakshi group. The unit comprises a manufacturing zone, research and development, maintenance, repair and overhaul facility, aerospace station and an academy supported by a logistics park and free trade warehousing zone. Rosaiah said the state had signed a memorandum of understanding with the Airports Authority of India for upgrading and developing airports at Vijayawada, Rajahmundry, Warangal and Kadapa. It was also in the process of upgrading the Tirupati airport into an international airport. It recently upgraded the Visakhapatnam airport with night landing facilities to cater to the international traffic. Stating that the state was open to developing regional airports at Kurnool, Tadepalligudem, Nizamabad and other towns under public private partnership, Rosaiah said to attract investments in the airport sector, the government would provide fiscal incentives apart from infrastructure like land, water and power supply for development of these airports. The GMR Group, which has developed the greenfield Hyderabad international airport, is setting up an aerospace park in which CFM engine maintenance training centre is one of the tenants. 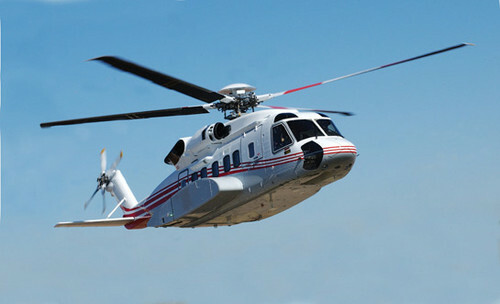 Hyderabad, June 1: The US-based Sikorsky will shift its helicopter-making facility in Japan to Andhra Pradesh, through a tie-up with Tata Advanced Systems Ltd, which plans to invest Rs 1,000 crore in the proposed Aerospace Special Economic Zone at Adibhatla village on the outskirts of the city. The facility will provide direct employment to 1,000 people, according to B.P. Acharya, managing director of the Andhra Pradesh Industrial Infrastructure Corporation. He said the government was providing huge subsidies and tax holiday to the project. The state government today handed over 50 acres of land to the Tatas. The land is priced at Rs 30 per lakh acre. Besides, the Tata plant will also provide indirect employment to another 4,000 people once it is commissioned by June 2010, sources said. They said the Tatas had plans to establish aerospace and defence products manufacturing facility, as well, at the SEZ. The helicopter plan comes close on the heels of a Rs 6,000-crore project in the state’s Chittoor district to make heavy equipment for power firms. Over 2,000 will get jobs at Chittoor within three years of the project, which is being jointly set up by NTPC and Bhel.